What's New at St. B. 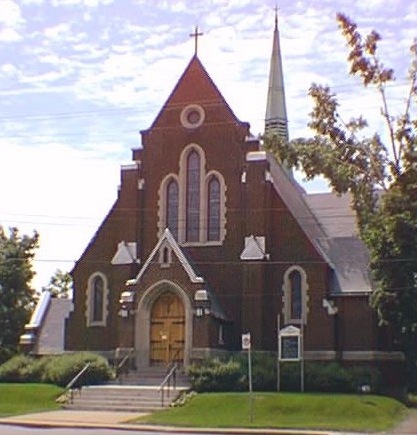 Welcome to the home page of St. Barnabas Anglican Church, located in St. Lambert, Quebec, on the South Shore of Montreal. With a rich community life focused on service, fellowship, study and prayer support, St. Barnabas welcomes new members and visitors. Our Sunday morning worship service is at 10:00 a.m. in a family-centered, participatory atmosphere; Morning Prayer on the 1st (& 5th) Sundays of the month and Eucharist Service on the 2nd, 3rd & 4th Sundays of the month. Youth activities include Sunday School (from September to May) with an accent on fun, friendship, service, creativity and meaningful discussions. Other activities include: Choir, Bible Study, all levels of Christian Education, Service and Fellowship Groups. In addition, our Church, Memorial and/or Dart Hall are available for rental to groups on a one time only, weekly and/or monthly basis. Le culte se deroulé surtout en anglais, mais l'accueil est des plus bilingues. Copyright The Church Of St-Barnabas. All rights reserved.